TODAY – Erastus Bingham granary at 317 West 2nd Street is listed on the National Register of Historic Places; built circa 1875. 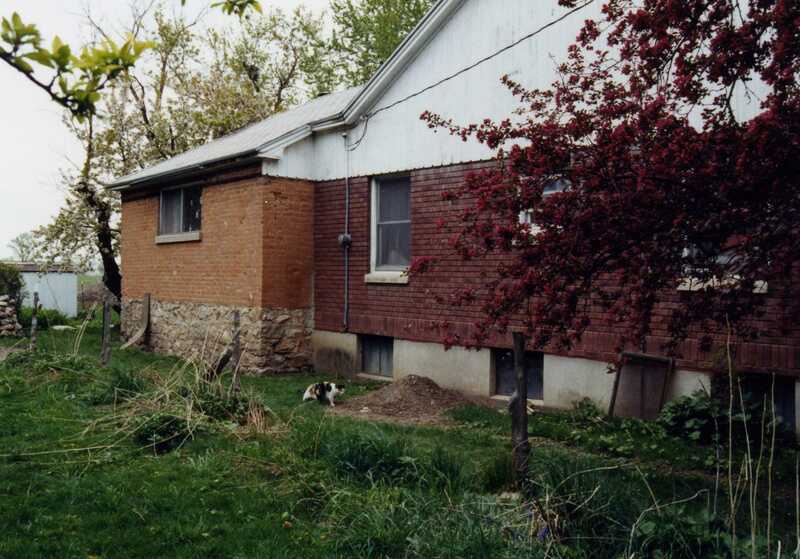 Clyde and Macel Stone Montgomery built a brick home and attached it to the granary in 1953. 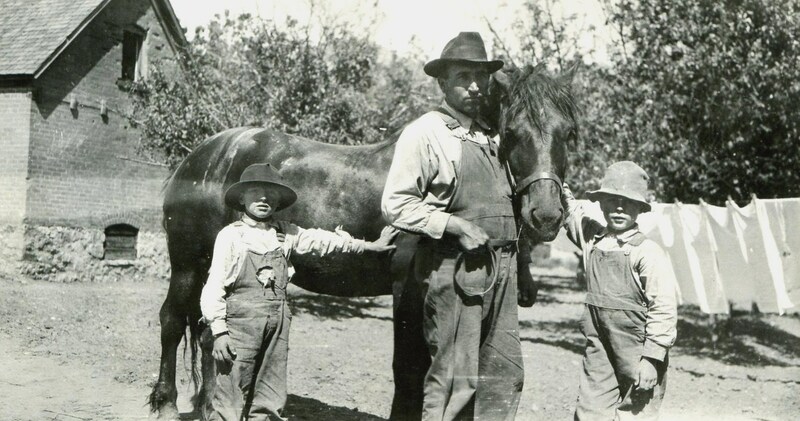 1918 view of Bingham granary (left), S. side;Chauncey with sons Harvey and Warren. 1910 view of Bingham granary, W. side; photo Edna K. Stone. 1929 view of Bingham granary with a board garage in front, Bingham cabin, and Mills barn; photo Edna Kent Stone. 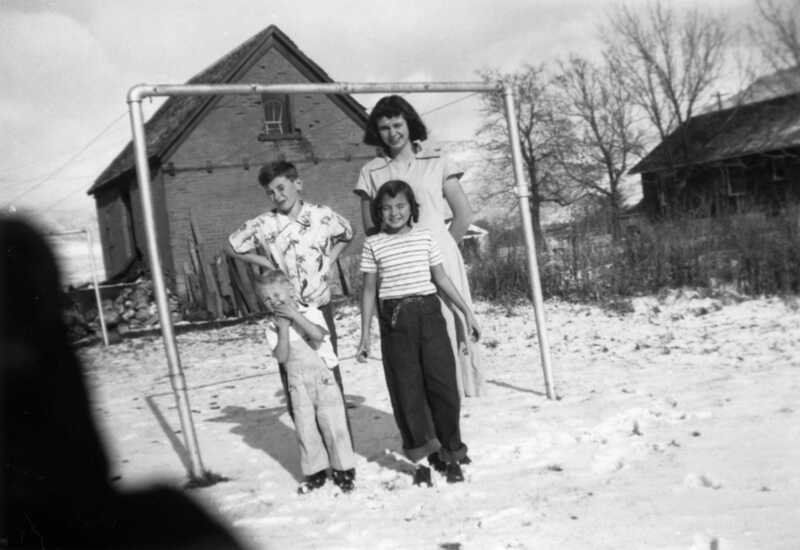 1952 The old Bingham granary, S. side; Jay, Joyce, David and Faye Montgomery. The granary was built for Erastus Bingham in the 1870s with burnt bricks from Sam Gates Brickyard. 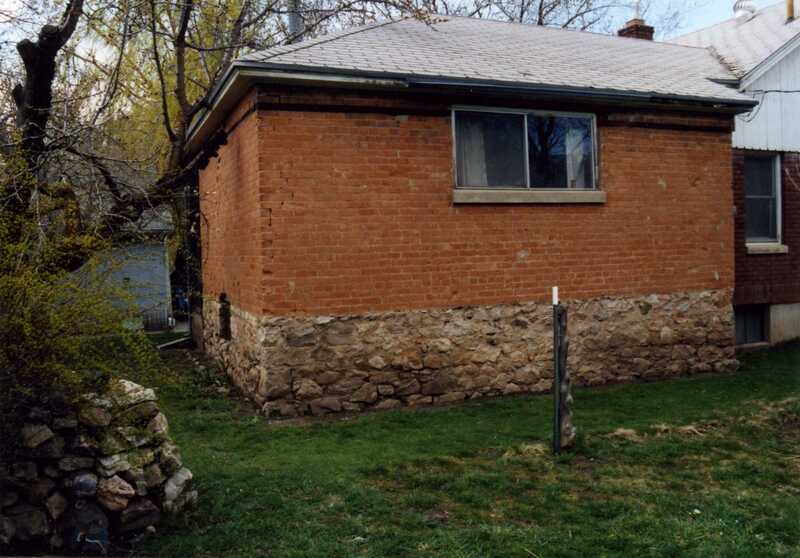 The fieldstone foundation is three feet high protecting the bricks from moisture and rain splash. The lower level of the granary is a root cellar with a six foot height floor to ceiling and rock walls. Inga Mills wrote that she spent many hours in this cellar cutting up spuds for planting in about 1906. The upper level was used to store wheat and other grains. For life sketch of Erastus Bingham see Bingham Way and Erastus Drive. When Brigham Young deemed it safe to leave the fort in 1854 he counseled the leaders to take a lot in Ogden as he was eager to build up Ogden. Erastus Bingham secured property on 23rd and Madison where he built a home, still retaining the farm on 2nd Street. He took a second wife in 1857, Mehitable Sawyer Hall, and a third wife in 1862, Emma Nye Wilson. In Ogden Erastus served as bishop of the First Ward until 1868 when he was released from ecclesiastical and civic responsibilities because of his age and health; he was 68 years old. In the 1870 census Erastus is listed on the farm on 2nd Street with his third wife and their 7 year old son, Warren Bingham, and Emma’s 16 year old son, Nye Osborn, who helped with the farm. 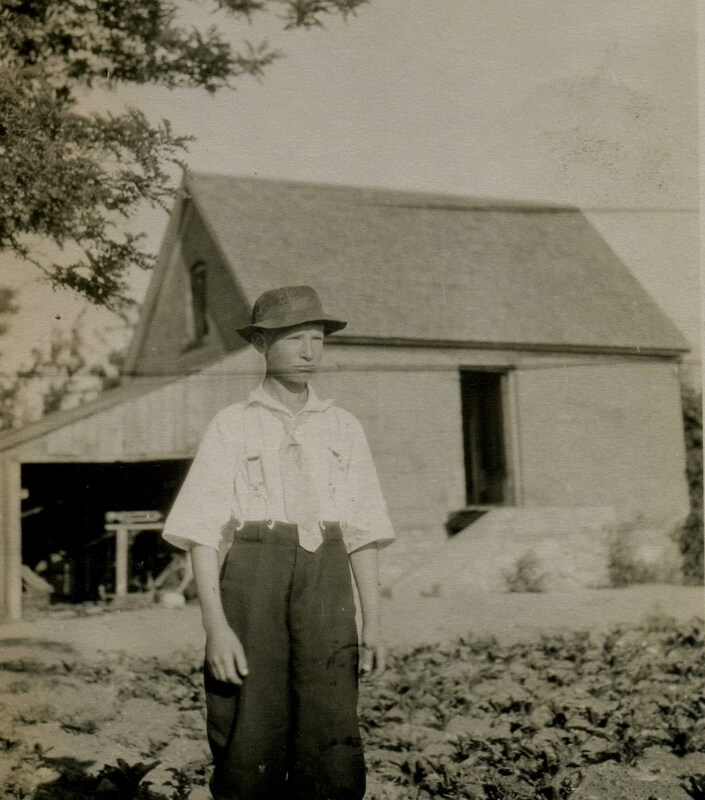 Erastus had a granary built in the 1870s when he was in his seventies. The size of the granary is 20×16 feet. The cabin Erastus lived in was 24×16 feet. Since the granary has two levels it actually had more floor space than his cabin and indicates that Erastus supervised an affluent and busy farm. The Lynne Ward history recorded that the 1870s was a prosperous decade for farms and orchards on 2nd Street. It was also a decade of political, religious and social conflict between the gentile newcomers and the Mormons, and the key issue of conflict was polygamy. Erastus’ first wife, Lucinda Gates, died in 1874. In the 1880 census Erastus 83 lived on the farm with his second wife, Mehitable Sawyer Hall, age 73. Mehitable, or “Aunt Hitty” as she was known to all, served as the neighborhood midwife. There was also a 20 year old domestic servant and a 14 year old grandson, Charles Boss, living with them. Erastus died in the log cabin in 1882, the same year that the “Edmunds Bill” was passed in the congress of the United States. The Edmunds Bill was designed for the oppression of polygamy in the territories of the United States. Erastus Bingham Jr.(1822-1906) bought a farm in Slaterville located between Mill Creek and the Weber River that had 2 houses on it. Olive, his first wife, and her children moved into one house and Susan, his second wife, and her children moved in the other. In 1860 a flood came and washed the first house away, but fortunately the second house was undamaged. They were thankful it was saved because besides their furniture they had 300 bushels of wheat stored in it. Willard Bingham (1830-1913) married Genet Gates, daughter of Sam Gates, in 1853 in Bingham’s Fort and Amanda Snow in 1854. Amanda taught at the Bingham School on 2nd Street. 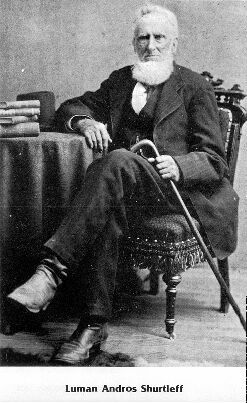 Sam Gates (1804-1877) married his first wife Lydia Downer in Michigan in 1830 and Martha Waite in 1858 in Utah. 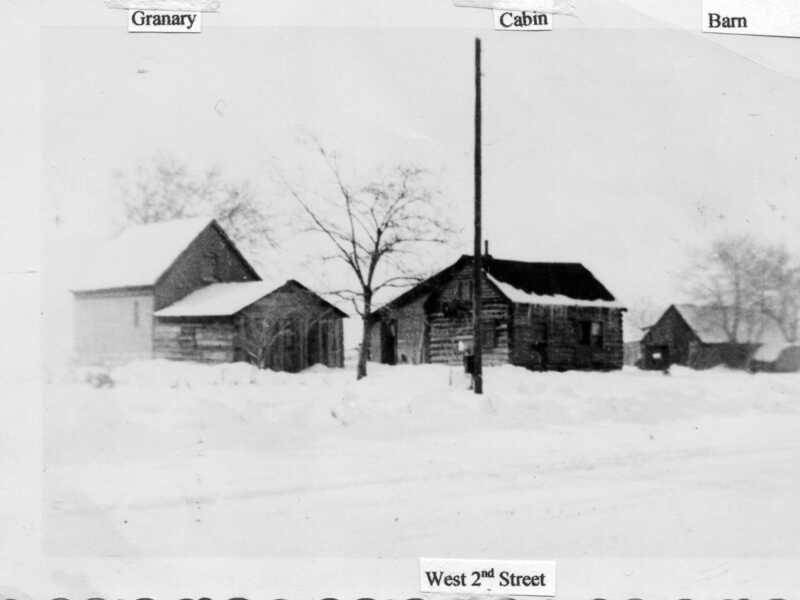 Both wives and children lived on 2nd Street in two separate houses. 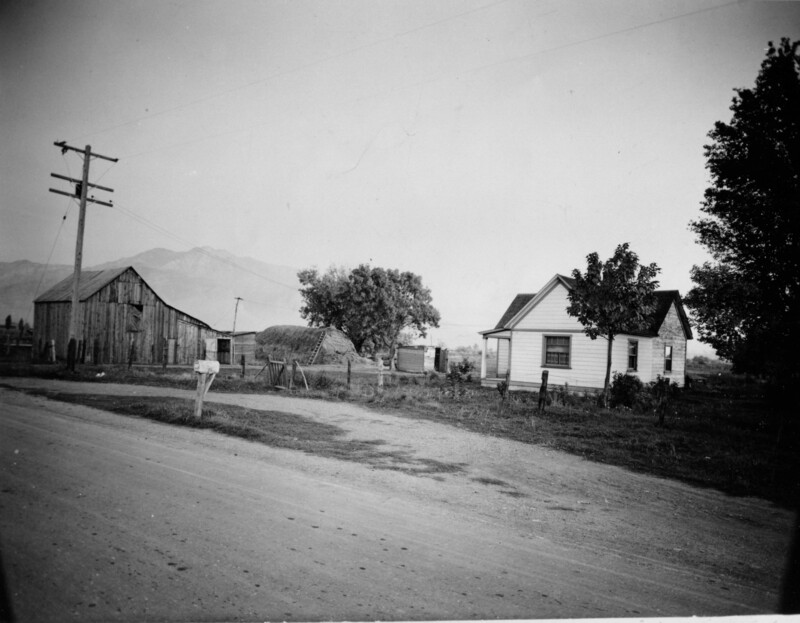 Robert E. Baird house at 2nd and 1000 West; the frame structure enclosed the original log cabin; notice that 2nd St. is a dirt road; house demolished when Utah General Depot established; photo courtesy of Frank Layman. 1888 – In the first district Court of Ogden, May 31, 1888, Bishop Daniel F. Thomas was sentenced by Judge Henderson to 3 months in prison in the Utah Penitentiary, to pay a fine of $300 having been convicted of so-called unlawful co-habitation. The bishop felt very much depressed in spirit over his incarceration and his health became much impaired by his confinement. Daniel F. Thomas, the 1st bishop of the Lynne Ward, was born April 13, 1826, at Pennyrall in the parish of Llangfyhandelararth (Wales). 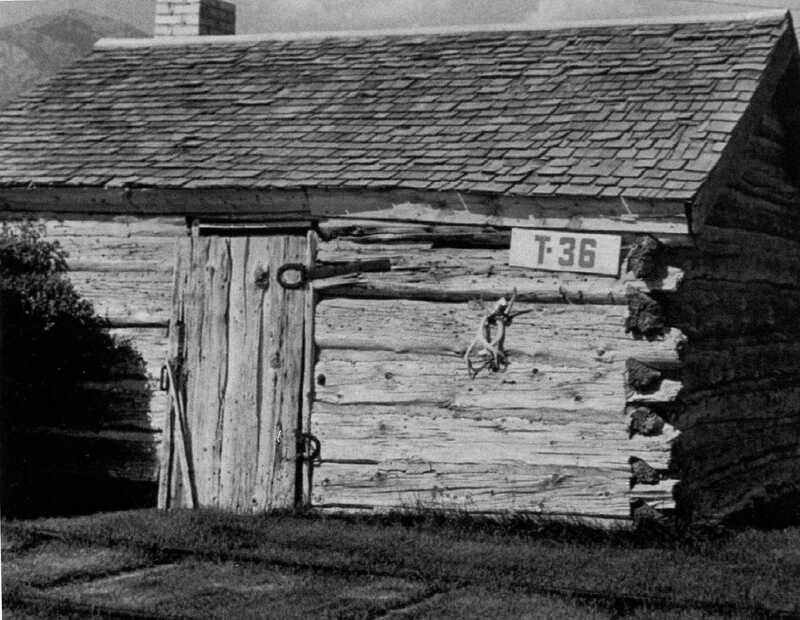 Cabin of Daniel F. Thomas was located on the site of building 10A of DDO; it was part of the DDO pioneer museum. William Rufus Rogers Stowell (1822-1901) moved into Bingham’s Fort in June 1855 where he met and married his third wife Sophronia Kelly. He farmed in the BF District until 1862. His sisters were also married into polygamy in the 1850s to William Howard Perry. What kind of changes? Changes that caused much suffering among the people in Utah. Many heads of families were fined and imprisoned. To avoid these unjust punishments, others went into voluntary exile. The separation of large families resulted in poverty, destitution and suffering. In 1888 W. R. R. Stowell was tired and worn out running from the officers of the law for two years to avoid fine and imprisonment. He concluded to go home (to Ogden), give himself up to the officers of the law and stand trial under the indictments that had been filed against him for two years. He did this knowing that he would then be at liberty to sell his property and leave the country. W. R. R. Stowell sold his property in Ogden and on January 21, 1889 started for Mexico on the D&RG Railway. 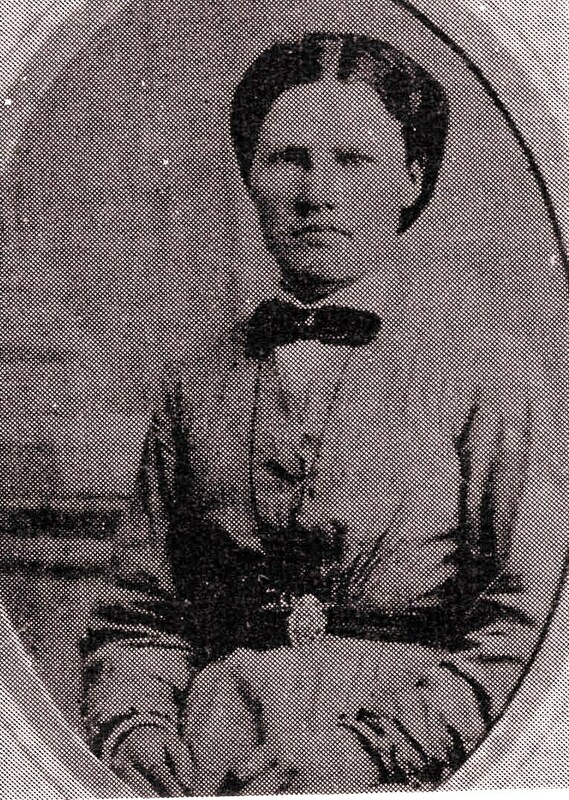 Levi James Taylor married Nancy Jane Gates, daughter of Sam Gates, in 1871. She died in childbirth in 1872. He then married her dear friend and niece, Genet Flora Bingham in 1873 and her sister Josephine Bingham in 1874. These sisters were grandaughters to Erastus Bingham Sr. and Sam Gates. 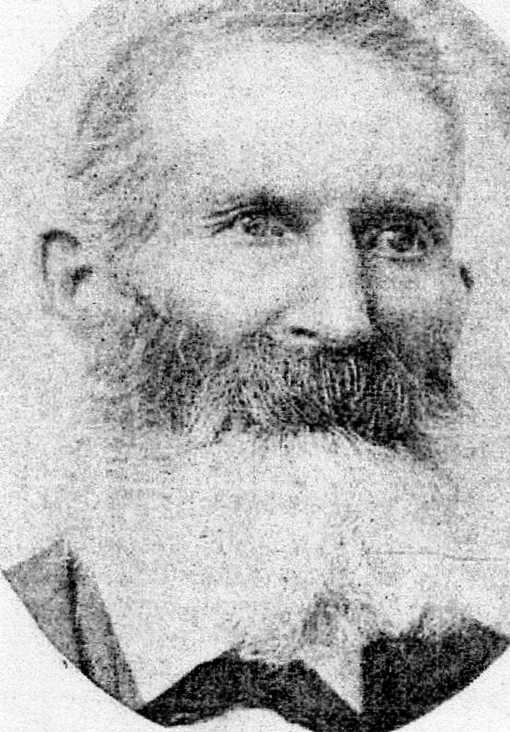 In 1888, Levi James was among those sent to the Utah State Penitentiary for polygamy. He wrote in his journal that while in the prison he was visited one night in a dream by his dead first wife, Nancy Jane. This event gave him great comfort during that difficult period. Nancy Jane Gates taught at Lynne School in 1868 (see chronological history 1868); she married Levi Taylor in 1871. Walter S. Crane: The last person to enter into a polygamous marriage on 2nd Street was Walter S. Crane. He married his third wife, widow Mary Melling Stone, in 1889, a year before The Manifesto. The “1890 Manifesto”, sometimes simply called “The Manifesto”, is a statement which officially disavowed the practice of plural marriage in The Church of Jesus Christ of Latter-day Saints (LDS Church). Signed by church president Wilford Woodruff in September 1890, the Manifesto was a response to mounting anti-polygamy pressure from the United States Congress which by 1890 had unincorporated the church, escheated its assets to the U. S. federal government, and imprisoned many prominent polygamist Mormons. The Manifesto was a dramatic turning point in the history of the LDS Church. It officially prohibited church members from entering into any marriage prohibited by the law of the land and made it possible for Utah to become a U.S. state. Inga Emmertson Mills, Life of Andrew Mills, manuscript, p. 8. Norman F. Bingham, Lillian B. Belnap and Lester S. Scoville, Sketch of the Life of Erastus Bingham and Family, circa 1952, p. 13, 14. Ibid, p. 14; 1870 census. Ibid p. 16; 1880 census. James Little, A Biographical Sketch of William Rufus Rogers Stowell, manuscript, 1893, p. 36. Luman Andros Shurtleff, His Personal History, 1807-1884, published by Horace W. Shurtleff and Victor D. Shurtleff, printed at Litho grafics inc., Salt Lake City, Utah, p. 95,96. Norman F. Bingham, Lillian B. Belnap and Lester S. Scoville, Sketch of the Life of Erastus Bingham and Family, p. 30, 31. Cora Fern Reno, Robert Erwin Baird, manuscript, 1961, Ogden DUP Museum files;w.c.rootsweb.ancestry.com (9/16/2014). James Little, A Biographical Sketch of William Rufus Rogers Stowell, p. 23, 36. Shari Lynn Humpherys Franke, Nancy Jane Gates History, manuscript, 2000, p.2.